service. This project was built completely in tunnel, with the outlet section running underneath Laurel Hill Cemetery into an outfall at the Schuylkill River. 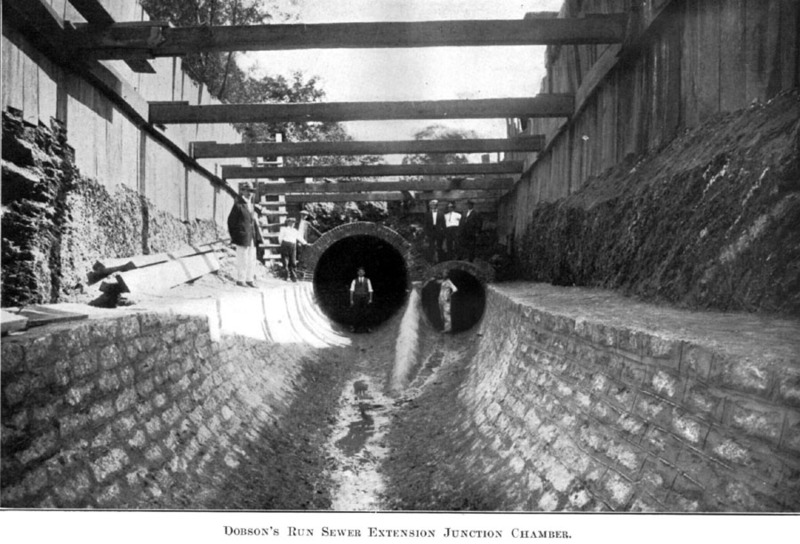 The photographs below show the construction of the original Dobson's Run Sewer from the 1912 Annual Report of the Bureau of Surveys, Department of Public Works. 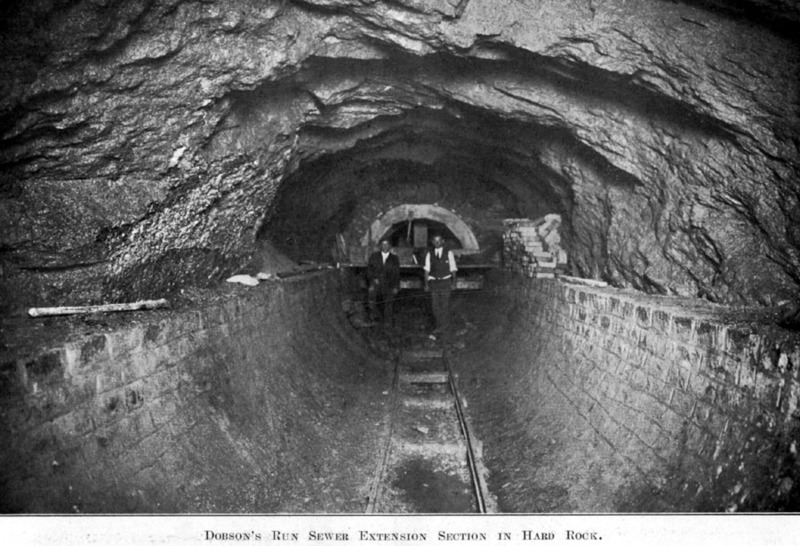 As with the current pipe, parts of this sewer were also done in tunnel. To view a html slideshow of selected 2010 photographs, click here. For more background to the project, visit this page on Philly H2O or these two pages on Chris Dougherty's excellent website, Necessity for Ruins. 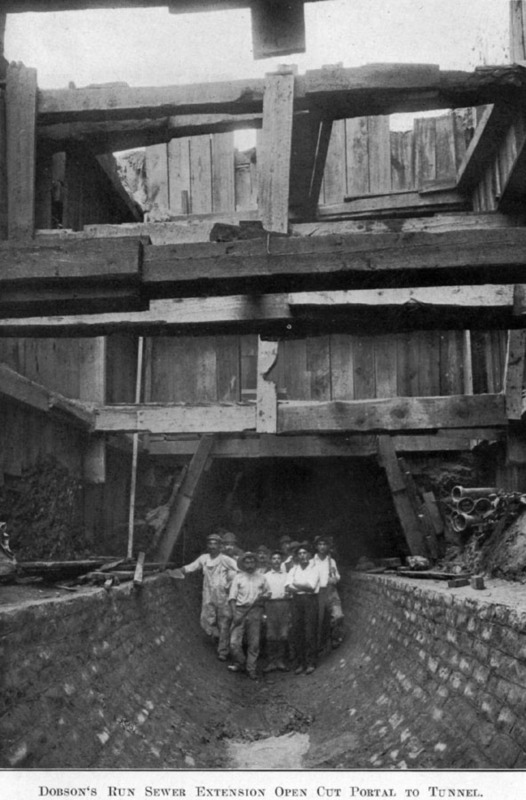 Three photos showing Dobson's Run sewer construction, 1912.